Looking over the course of your life, do you tend to avoid and ignore endings and move on as quickly as possible, or do you recognize that there are seasons of life that include mourning and grieving? Read Ecclesiastes 3:1-11. Discuss the rhythm of life of ending, waiting, and new beginnings that you see in these verses. Read Job 2:7-10 and Job 3: 1-10. Contrast how Job “did not sin with his lips” but still was able to lament and grieve deeply his circumstances of life. Can we trust that endings are gateways to new beginnings? Can we trust that endings are God’s invitation to grow us? Can we trust God in the waiting between an ending and a new beginning? Pray for one another that the Lord would expose an area of our life that we need to go back and lament properly. Pray for compassionate hearts for those around us that are currently suffering a loss in their lives. Pray that the losses in our lives can have resurrection power in our lives that leads to new beginnings. Discuss a time in your life when the suffering you experienced, or someone you love, caused you to question God’s goodness and mercy. Job 38-41 is God’s response. Is God with us in the midst of the storm? In the midst of suffering, how do you not loose hope in God? In the midst of God’s silence, how do you remind yourself in the waiting that He is there? Q-What does it mean to be “sifted” by the devil? Q-Why did Peter think He would never deny Jesus? Q-Why would God permit the devil to do such a thing? Q-What emotion does it provoke in you to know that Jesus is praying for you? Q-Have you ever done something that you said you would never do? Q-What emotion do you think overwhelmed Peter when he locked eyes with Jesus after denying Jesus 3x? Q-Have you ever wept bitterly? Q-What brings relief to bitttter weeping? Q-What does it mean that our faith is tested and genuine? Q-Why is this more valuable than gold? What part of Sunday’s service spoke to you the most? Who is a hero of the faith that you have had? *How did Breck’s story of being called to ministry as a child impact you? *Read 1 John 4:18 – Have you ever thought of fear as an invitation to talk to God? How did Breck’s story of breaking through fear speak to you? *How did Breck’s interaction and heart for Muslim’s speak to you? *Read John 9:36-38 – When you think of refugees are you stirred with compassion? Why or why not? *What does Jesus ask us to do about those who are lost and without a shepherd? What is one thing God stirred in you as an action point during the interview? Talk about Bless BV day and how God might be calling your group to be a part of serving. Pray: Spend time praying for workers to be sent out into the harvest. 1) Read John 5:1-17. With what in the crippled man’s story can you relate in your own life? Share with the group an experience or season in your life where you struggled to sense or recognize God’s presence in the midst of it. 2) Read John 15:1-11. Spend time as a group discussing this idea of “abiding” or “remaining” within the context of the imagery of a vine and branches. Has God’s word taken up “permanent residence” in your own heart? 3) Do you consider yourself a theologian? (There is a correct answer to that question!) 🙂 What do you believe is shaping your theology, personally, day to day? 4) In the sermon, Brandon referenced the idea of a “worship diet.” Analyze your own diet; what songs (artists, church bands, publishers, etc. ), books/authors, bloggers, or online teachers/preachers do you typically gravitate toward? How diverse are your choices in content as it relates to various parts of Scripture, God’s character, etc.? Are there gaps in your diet? 5) Spend time in prayer asking the Lord to plant His Word deep into your hearts and minds, and pray specifucally that in time of suffering, the Spirit will water these seeds of truth when you are tempted to give up hope in God. Theme to connect with: When is it ok to move out of grief? 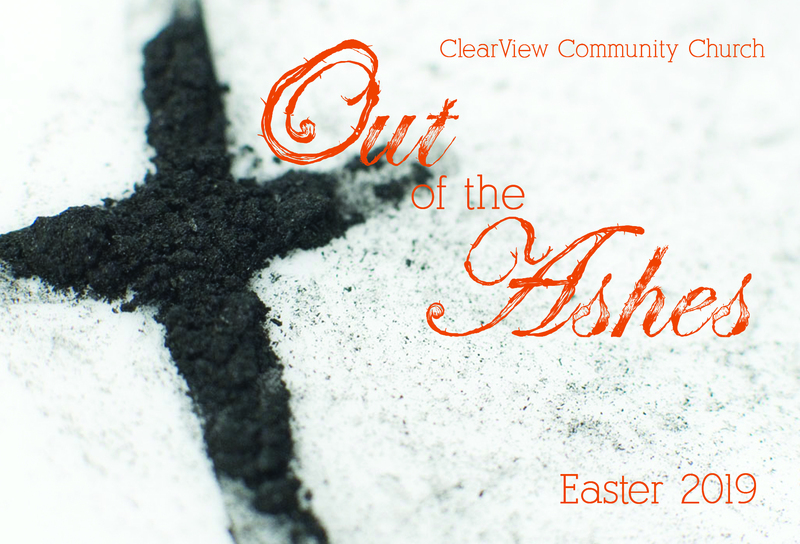 When is it ok to come out of the ashes? Lean into, ask, “Ok, God, what do you have for me?” When He moves you, will you follow Him? Remember God’s Plan of Redemption: When Israel found themselves feeling hopeless, little, insignificant, the runt among nations, in their despairing times, they remembered God’s redemption. 1 Samuel 16 was that reminder. God doesn’t leave His people in despair, He brings hope. He redeems. When have you found yourself feeling the same way and what have you asked God for to alleviate that despair? What new revelation of God, of who He is, did you receive through your despair and struggle? Wrestle with Despair: 1 Samuel 15:34 Discuss together how the phrase, “The Lord regretted that He had made Saul king over Israel” impacts your thinking about God. What questions come to mind regarding God’s regrets? Examples: Genesis 6:6, Exodus 32 Discuss Gabriel Marcel quote: “By paradox which needs surprise only the very superficial thinker, the less life is experienced as a captivity the less the soul will be able to see the shining of the veiled, mysterious light, which we feel sure without any analysis, illumines the very center of hope’s dwelling place…The truth is that there can strictly speaking be no hope except when the temptation to despair exists.”How is this quote true in your life? How have you experienced, are experiencing grief and/or despair currently? Discuss how you have experienced grief, despair and how the above quotes are or are not true to your experience. Where have you allowed grief and despair to make you cynical, apathetic, stuck? What steps of faith and action might God be calling you to take today, in the days ahead? How will you respond? God was saying poignantly to Samuel, Are you going to stay in your grief, because I’ve reconciled the mess with Saul and I want you to, too. I’m good with it. I regret the mess with Saul but I’m moving forward. I’m doing a new thing. Time to go. Time to risk again. Where are you stuck, not wanting to risk again? What’s holding you back? Where might God be calling you to come with Him, to move forward, to risk again? How will you respond? What first steps of faith might you take today? Hebrews 11:1, 6, 13-16 Where will you choose to believe God for the future? Wait on Redemption: Trust God, He’s got your back! Romans 8:23-25 Hope that is seen is not hope. Samuel could not see the new king among Jesse’s sons but he followed God’s leading. He followed God in faith. Where is God calling you to follow Him in faith, to throw a barbecue and wait for His leading? Is it your marriage, your kids, depression, past failures? Where is God chasing you down, inviting you to new or deeper faith in Him? Rise Up in Hope: 1 Samuel 16:1-13 Samuel moved forward in faith.Are you finished grieving, ready for some hope? Where will you rise up from your past and move out of the ashes, with God? Will you trust God that He’s doing a new thing in your life and allow Him to fill you with new hope? Pray for one another: God, would you fill me anew with Your Spirit? Would You fill me with new hope, new passion for walking with You through this tiring, discouraging time? I’m ready to step out in faith.